In my opinion they are too much lights by default. In most studios I have worked, they have a tendency to reduce the number of lights. We could probably add 'MeshLight' to the list but that' a different story. 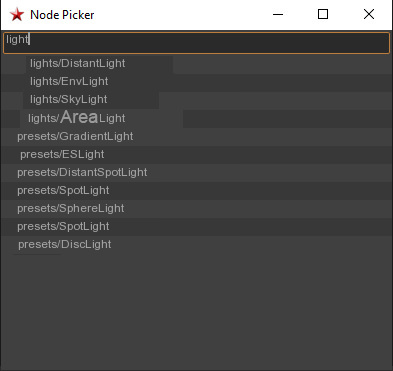 2- When I look at this list, I think there is a confusion about the actual lights and the presets. It looks like 'GradientLight', 'SpotLight' or 'IESLight' are actually light sources. When they are only presets, right? 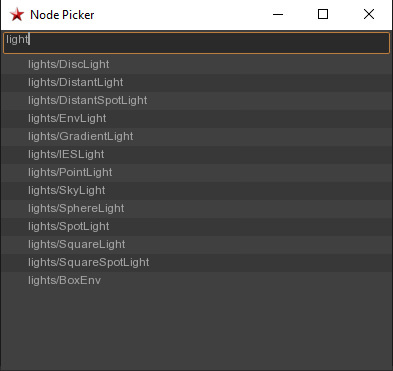 I think it would be easier with something like this: only 4 lights and the rest are presets (combination of light shader and a proper light source). 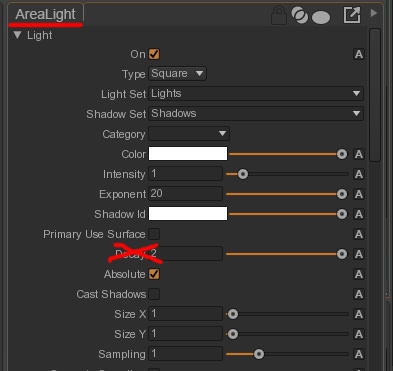 3- Also it would be neat to rename the 'Square Light' to 'Area Light'. It would make more sense and bring us closer to other softwares. Probably less confusing for a new starter of Guerilla. I would also love to remove the 'Decay' option from our lights. 4- I am also a bit confused by the 'PointLight'. Why is it under the same category of 'Sphere', 'Disc' and 'Square' which are all 'Areas'. You cannot make the Point Light bigger nor change its Angle, right? Therefore you will always end up with sharp shadows. I would probably remove this light as it is does not exist in real life. Or at least remove it from the 'Area' Lights category. 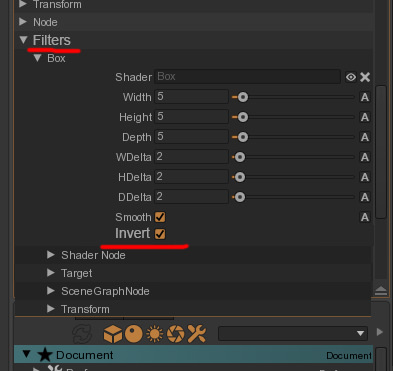 5- An other detail but would help: Could we rename the 'light shaders' to 'light filters'? Would be less confusing for new starters. 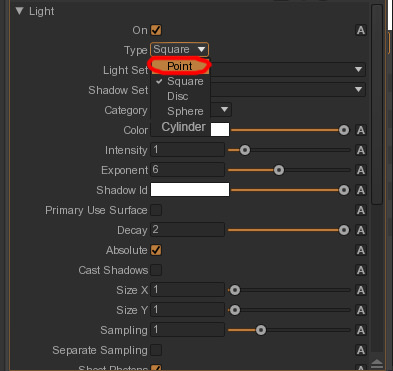 And I would love to see some 'Invert' option on the existing light shaders: box, cone, cylinder and sphere. 6- We could also add 'barndoors' to the light filters. They are quite useful. 1 & 2. I admit the light library is a bit messy, and we could take the opportunity of the next 2.2 to clean this up a bit. 3. Square light is ok by my book, so an alias would do it? 4. The type controls the kind of shape the positional light has. So, it might be an infinitesimal point light, a square, a disc or else. And same reason as previously, some productions are really using them! 6. Yes, barndoors. Quite some work to implement, though. Anyway thanks for having a look! 1- Is the blue square supposed to be a preview? Am I missing something to make it work? The blue square is the preview. The blue color means that the .tex is not built, while the purple color means the file can't be accessed. 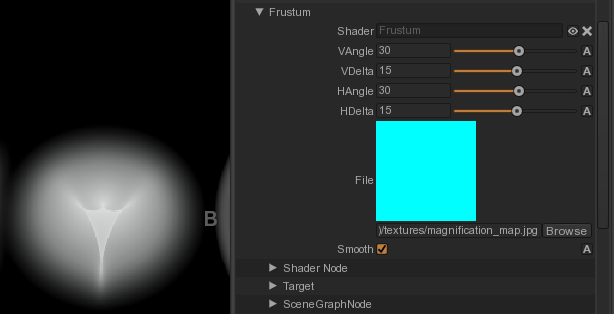 For the texture controls, the controls should be there, it is just a matter of exposing the texture parameters, though. Thanks Ben! I'll have a look!